Beauty is skin deep – Absolutely ! The question is how deep your product goes in your skin to bring out the ‘skin deep’ beauty. La Prairie is one of the very few brands in the world of skincare that claims to go ‘skin deep’ and a few products in their collection actually do so. In this series dedicated to the luxury of skincare, I’ll introduce you to various skincare products that may bring back the ‘plump factor’ in your skin replenishing it of all it needs. Moistening one’s skin is of utmost importance. Before going to bed, one should remove makeup with a cleansing lotion. Post the same, face wash is required to remove all dirt and grime from one’s skin. Toner and serum/skin conditioner is what follows with a night treatment. Best time is 10 pm, however, in case of parties this regime should be the first thing once one is back home in order to get the maximum time for the night repair treatment to go inside one’s skin before hitting the pillow. Usage of face wash should be twice a day and not more in order to keep one’s skin supple. Accordingly one may take a call how to clean their face in the morning.Washing your face should be one of the last thing in your shower. Now comes the main step – moisturizing. It is light unlike a cream because of the combination of glycerin and water. The texture is gel-like. One pump (in case of oily skin) or two pumps (in case one feels the need to apply more or during the night when the purpose is to replenish what is lost during the day). This product can be used by any age group and/or skin type because of the sea water in the product. You may follow this with sunscreen and then foundation. It is a glycoprotein rich product that should have given my skin considerable water-holding capacity and made it supple. It did work on that aspect. The packaging of this product like all other La Prairie product is very beautiful and completely compact for travel. It comes in a glass but sturdy bottle with nice plastic pump on top.It has an easy and smooth-to-lock pump that will ensure safe travel in you check in luggage. When I apply it, I can feel the product on my skin (something I am not comfortable with). Sometimes, I get a slightly sticky feeling like the one when I apply glycerin. I think maybe the combination of water and glycerin is not balanced enough . Combined with La Prairie’s sunscreen, even a combination skin looks oily so compact is an essential. I used it every morning 1 pump and evening 1-2 pumps before going to bed but it didn’t serve the purpose of a night treatment product because it gave me a pimple every morning when I got up and saw my face in the mirror (yes, that’s the first thing I do when I get up from bed). This product has a peculiar smell too like a lab based product. Maybe it is because of the usage of Panax. The price is Rs. 10,000/- for a 50 ml product is a concern, given the results for my combination skin. 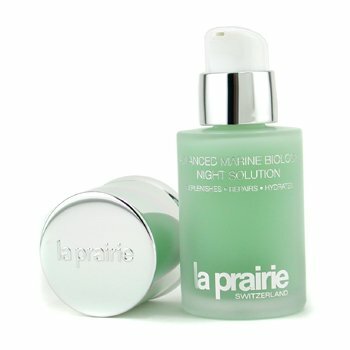 For me, this one of the good products but not the best of La Prairie if one lives in humid climate of Mumbai and has combination or oily skin. This is best if used during cooler months of Mumbai like November to February or if used in cooler regions of India or any other country like Delhi and NCR, Jaipur, Udhampur, Zurich, etc. One may face breakouts if used more than one pump on combination to oily skin in humid climate. There is nothing unique or special about it that would make me purchase it again. I finished the product by applying it all over because I just wanted to get over with it. No unless I move to a cooler city and I still may settle for something else. The price Rs. 10,000/- is not worth the value I got out of this product. I wouldn’t recommend it to anyone who has oily or combination skin and live in humid climatic conditions. I am not sure how it’ll work out for my mum who has dry skin coz she may not like the sticky texture.